SeaPak engaged JDA wanting more and wanting better. 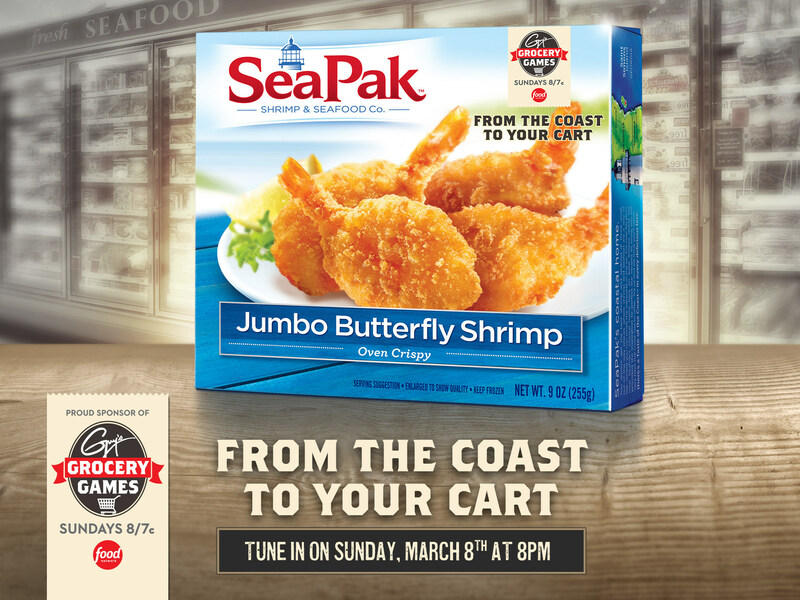 More market share, better shelf placements within grocery stores across the country, and higher sales to compete more aggressively with the world’s top seafood brands. JDA’s media planning focused on consumer trends related to shrimp sales and shrimp consumption. The industry historically focused their advertising and marketing budgets on November and December of each calendar year as families gather for Thanksgiving, Christmas and New Year celebrations. However, through its strategic research and planning, JDA discovered a consumer trend ignored within the industry. Shrimp sales sky-rocket each year during Lent. Yet, no seafood brand was taking action. JDA negotiated a first of its kind media placement by partnering with the Food Network and FoodNetwork.com on various brand integrations. JDA influenced better shelf placements in grocery stores from early March through mid-April, scaling sales 130% over goal midway through their peak season. The result was a massive capture of market share. JDA moved SeaPak from 14% to 81% market share over a 4-year period. Better yet, SeaPak now enjoys the distinction of being the nation’s #1 retail brand in the frozen specialty seafood category. [They] deliver beyond budget, brand impact, value, and growth each year!